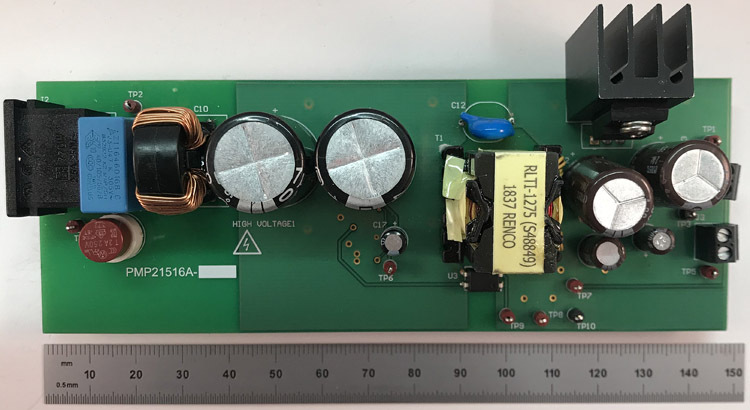 This reference design implements a dual-output flyback using the cost effective LM5021 AC-DC Current-Mode PWM Controller. Universal line input is converted to both 24-V and 6-V outputs. The TLV1117 Fixed LDO Voltage Regulator converts the 6-V output to 3.3 V and can handle 0.2 A of current. The supply is designed for sustained operation at 50 W and is rated for peaks up to 100 W: which is ideal for the power requirements of audio signals.